For the last few years, the best options for Indie publishers to publish an eBook have been Kindle, Nook and Apple iBooks. Now, there’s another big competitor on the scene, Kobo Books. 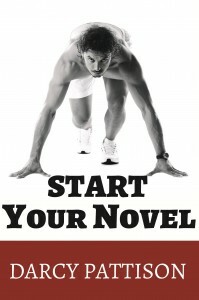 Kobo’s Writing Life opens the market to authors and provides exciting new opportunities. 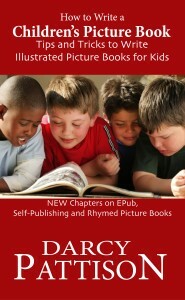 Especially exciting is the collaboration with independent bookstores and the American Bookseller’s Association. Today, Mark Lefebvre, Director of Self-Publishing and Author Relations for Kobo stops by to discuss their new interface for Indies. I met him at a conference in Oregon in July and immediately went home to upload my ebooks to KWL. It was a simple process and I wanted to share this with you. 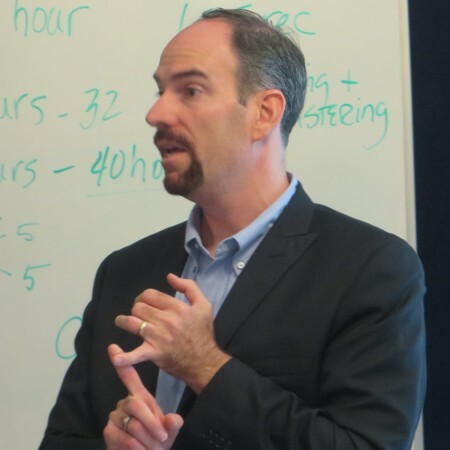 Mark Lefebvre, Director, Self Publishing & Author Relations, Kobo Writing Life. I met Mark at a conference in Oregon in July, 2013. 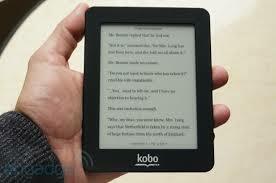 Question: At the Oregon conference, I had my first chance to see a Kobo reader and thought it was fantastic. I loved the Kobo Mini’s small size, how it felt in the hand and the clean reading interface. 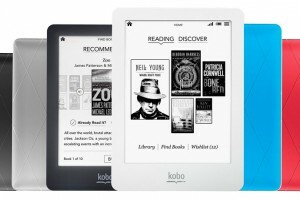 How does the Kobo ebook reader compare to Kindle, Nook and iPads? Is there a color Kobo and do pages rotate from portrait to landscape? Answer: Well, first of all I should explain that there isn’t a single Kobo reader, but rather a whole family of devices and apps – there’s pretty much a device or app for virtually any type of person, matching their own style and preference in an eReading experience. Yes, this might sound like a sales pitch, but there really is an amazing variety of options available in our devices. We have e-ink devices such as the Kobo Touch , a 6” Pearl E Ink touchscreen device that the #1 rated device by WIRED magazine, to the Kobo Glo, which, like Touch, can stored up to 1000 eBooks, but has a built-in light that has been proven to be the most even 6” front-lit eReader, allowing comfortable reading day or night. Our Kobo mini is the world’s smallest and lightest full-featured eReader with a 5” display, great for reading on the go, as it fits more easily into purses and jacket breast pockets. For die-hard readers who have to have the best of the best in eink reading experiences, Kobo Aura HD provides a premium reading experience for the discerning reader. With a 1440 X 1080 resolution and 265 dpi, along with a unique ergonomic design Aura HD delivers the ultimate crisp and natural feeling reading experience, and the built-in light allows for reading in all levels of light. Apart from the readers, Kobo does have free apps for every single smart-phone operating system, MAC and PC desktops. 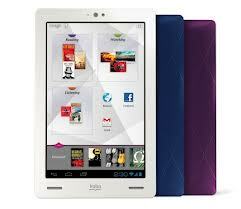 Question: Tell us about Kobo Writing Life. Why did Kobo establish this new option for Indie publishers and authors? Answer: Kobo Writing Life was created as a way of removing barriers and allowing authors who wanted to work directly with Kobo to get their indie-published works into our catalog as easily as possible. Kobo, a very collaborative company, accepts daily feeds from places like Smashwords and BookBaby along with hundreds of other distributors/aggregators, but many authors wanted to be able to connect directly with us and have tighter control over their prices, metadata, etc. So, after spending several months listening to authors (and using the existing platforms available – remember, many of the folks on the Kobo Writing Life [KWL] team are authors and are using the various different DIY platforms available), we designed a portal that would not only meet those needs, but also hopefully give them more insights and access to their data in an intuitive and beautifully designed manner. We are delighted to hear back not only from authors but smaller publishers, that KWL makes it easy for them to get their eBooks into Kobo’s catalog as well as track their global sales live, so they can focus on what authors and publishers really want to do – create great books. Question: What is the biggest tip you can tell us about using Kobo Writing Life? Is there a best-practices list somewhere? Answer: Kobo Writing Life is a tool for authors and publishers to use. In many ways it is not all that different than any other online portal allowing indie publishers to get their books into as many global catalogs as possible. We created the Kobo Writing Life blog at www.kobowritinglife.com in order to outline spotlights on authors, highlighting various things that they are doing, as well as to share information and insights about KWL, as well as the craft and business of writing (See Darcy’s post about starting your novel on Kobo Writing Life blog here), so that’s a great place to keep your eye out for updated tidbits and info. For other tips, see KWL’s Technical Help blog. Question: Kobo reaches a different market from the other ebook options. Where do you traditionally sell well? Answer: Kobo’s catalog reaches about 200 countries around the world, and one of the unique ways we reach customers isn’t just through www.kobo.com but also through our regional partner websites. In Canada, for example, our books are not only available via Kobo’s website, but also through www.chapters.indigo.ca and in the UK through WHSmith and indie bookseller websites. The same goes for FNAC in France and Mondadori in Italy and hundreds of other retail partner websites around the world – this helps maximize an author’s exposure to more customers in more countries via multiple channels. Kobo was born in and calls Canada home, so there’s no denying the fact that we have an incredibly huge reach within Canada. But we are also popular in the UK, Australia and New Zealand and are continuing to grow in the United States. Our partnership with the indie booksellers in the US, for example, means great opportunities for authors, for Kobo and for bookstores. Question: Explain the new collaboration with the ABA and independent booksellers through Indie Bound. How will this expand markets for Indie publishers? Answer: Kobo’s partnership with the American Booksellers Association means that independent bookstores across the U.S. can not only sell the line of fantastic Kobo reader devices in their stores, but also have a way of selling content to their customers. Customers interested in purchasing eBooks need not abandon their favorite local bookstore, but, instead, can purchase eBooks via that bookstore’s presence (check out www.indiebound.org) and support their local bookstore while buying eBooks. One of the things we learned right away with respect to our fantastic partnership with the ABA is that the titles that sell well via the indie bookstore websites closely matches the types of books that would sell well IN that same indie bookstore. Meaning that, instead of a generic global list of bestselling titles, the eBooks that sell well through each of the bookstore websites mimic the types of books that local bookstore would be selling. Meaning, that you get the great flavor and style that the indie bookstores bring to the community, the great local recommendations and personal touch that these cultural community hubs offer the towns in cities they operate in. Question: What is your favorite book that is ONLY available on Kobo? Please give us links to the Kobo desktop, iPad, iPhone, and Android apps so we can read it right away, too! Answer: It’s never fair to any bookseller for their favorite book or author – there are simply TOO MANY great books and authors to follow. A great thing that people SHOULD check out is the list of FREE titles available through the Kobo Writing Life community. There is virtually something for everybody on this list and a great way to discover a great new writer. These titles aren’t exclusive to Kobo, but since Kobo Writing Life allows authors to make their books free at ANY time for as long as they want (without the same restrictive exclusivity clause that some other eRetailers impose for the same benefit), sometimes they are free at Kobo and not at some other places. I should also mention one thing I am very proud about is the fact that Kobo Writing Life allows indie published authors the ability to set up their books for pre-order, meaning you might be able to pre-order an indie author’s title from Kobo before it is available at most other eRetailers. But if you want me to try to call out something that is currently exclusive to Kobo, one that I quite enjoyed is the special “Inferno” tie-in linked short stories that J.F. Penn wrote as part of a major “The Descent” contest that Kobo ran just prior to Dan Brown’s latest big release. Fans of Dan Brown or James Rollins are likely to enjoy the wonderful “Easter Egg” references and enriched links to Dante’s classic work within the pages of J.F. 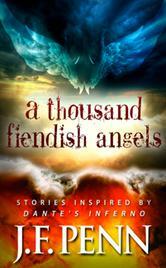 Penn’s A THOUSAND FIENDISH ANGELS – three wonderfully intriguing tales called Sins of the Flesh, Sins of Treachery and Sins of Violence. Thanks, Mark. Kobo and Indie Bound are exciting places for writers today. We appreciate you sharing your expertise with us. Intrigued and want to learn more? SelfpublishingPodcast.com did a 1 1/2 hour conversation with Mark that is available on YouTube (rated PG13!). I didn’t know anything about Kobo before reading this. I had heard the name, but that’s all. Thanks for an interesting post.